There is often a huge difference between the clothing styles that can be found in even the most popular stores and the outfits that are put out on high fashion runways. Though the general styles seen in high fashion sometimes translate into common wear, it is undeniable that some of the outfits that runway designers put out look like they would sooner belong on a different planet than in a common person’s closet. Some of the designs are downright ridiculous, which of course means that we get to laugh at them. In this list are the weirdest of the weird, and craziest of the crazy, guaranteed to get some laughs. This outfit is a giant cable knit, which swallows its wearer and only works when the hood is up and matching leggings are worn. Does it have sleeves? That’s the mystery, folks. This poor woman’s hands emerge just barely from the pink nightmare. 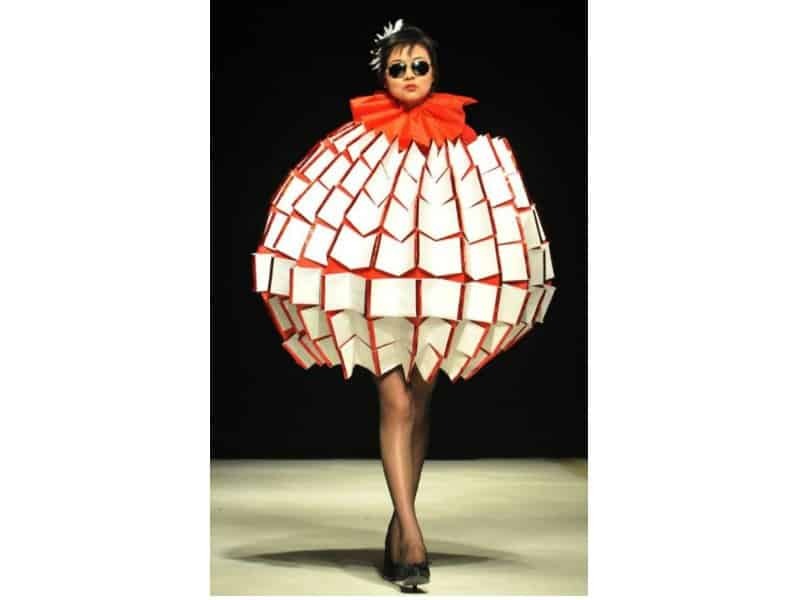 Looking to accentuate your apple-shaped body in a fresh, unique way? The only solution, obviously, is to wear an apple. 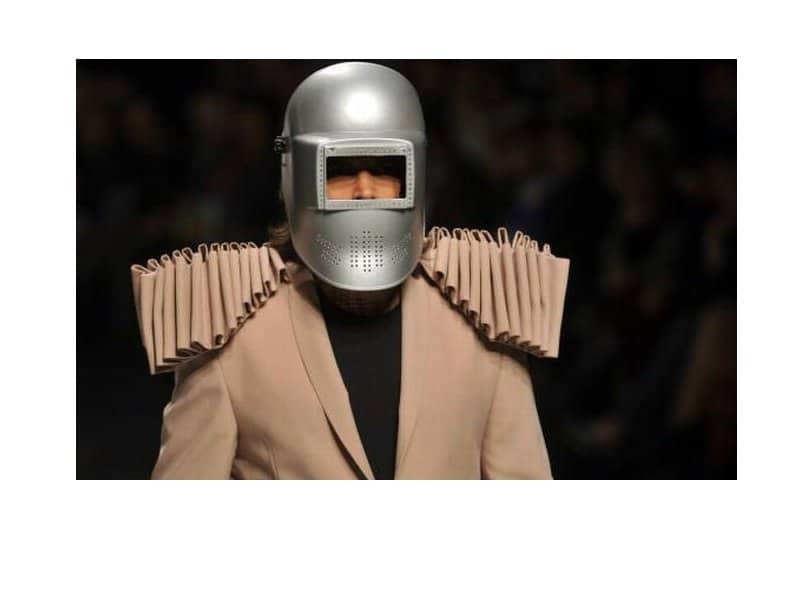 This bold fashion statement is so bold that it overcomes the need for arms, too. 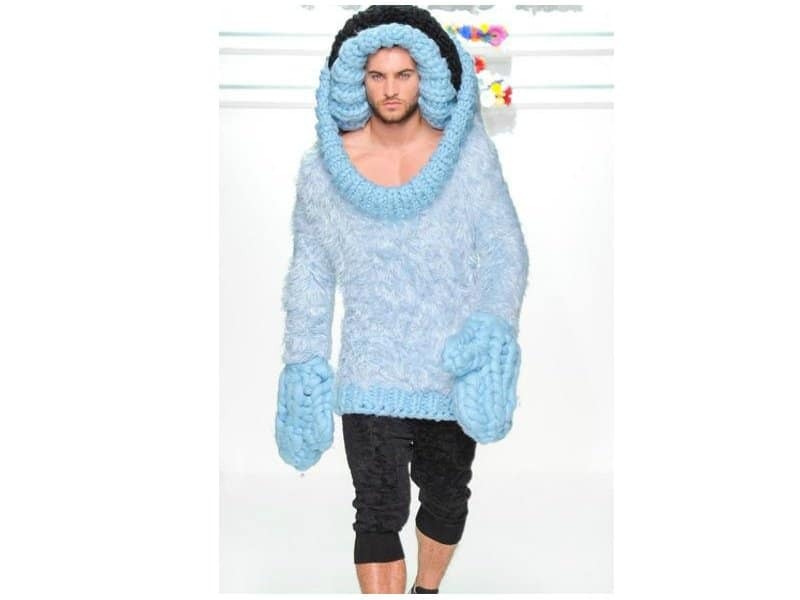 Instead of spending extra money on warm mittens this winter season, why not invest in a fuzzy sweater that comes with them? Because it’s hideous, you say? Yeah, we agree. You have to admit that the weird headpiece would make an awesome pillow, though! Ignoring the most obvious piece of this outfit for a moment, can we first discuss how this poor woman has been shoved into a bottomless, spiked Dixie cup? 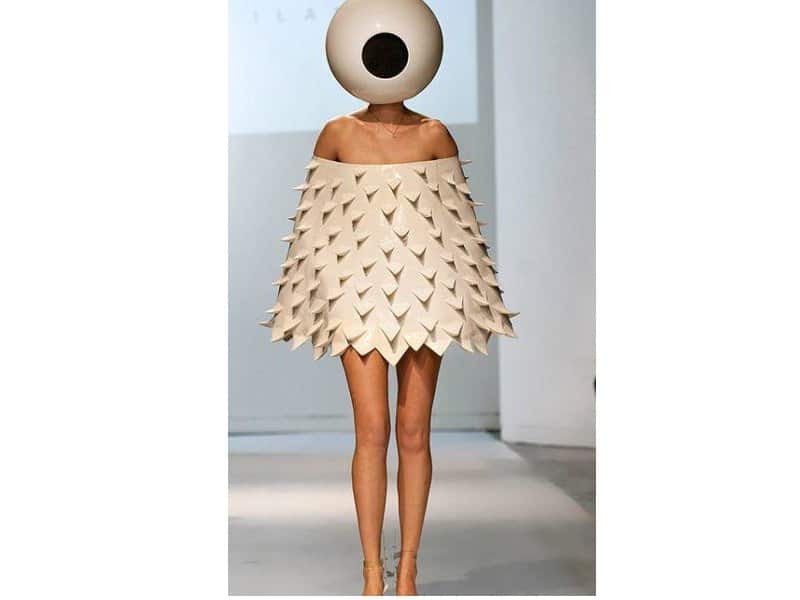 But yes, the fact that the model had to wear an oversized eyeball around her face is also horrifying. Rainy day got you down? Well, you don’t want this outfit, because it will catch all of the rain water and store it in a rather uncomfortable place, with no visual drainage system. The horrifyingly pink umbrella skirt combined with orange tie, shiny purple tights, and raindrops, begs the question as to what drug the designer was using. 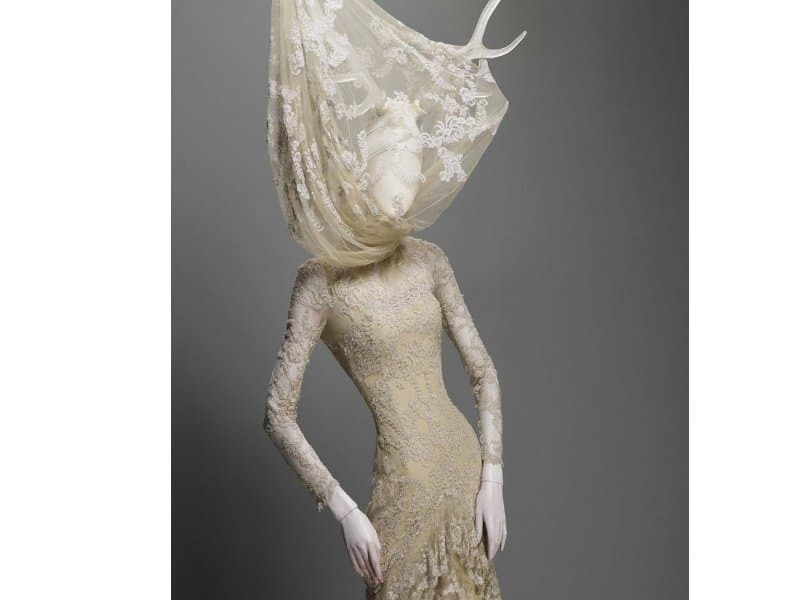 Don’t you hate it when your really weird, lace scarf-thing gets blown around in the wind and caught in your antlers? Us too. After some intense studying, it has been determined that we have no idea if the shirt is see-through, or has an arm and chest design with it. We are, however, definitely confused as to why that question is necessary at all in the fashion world. 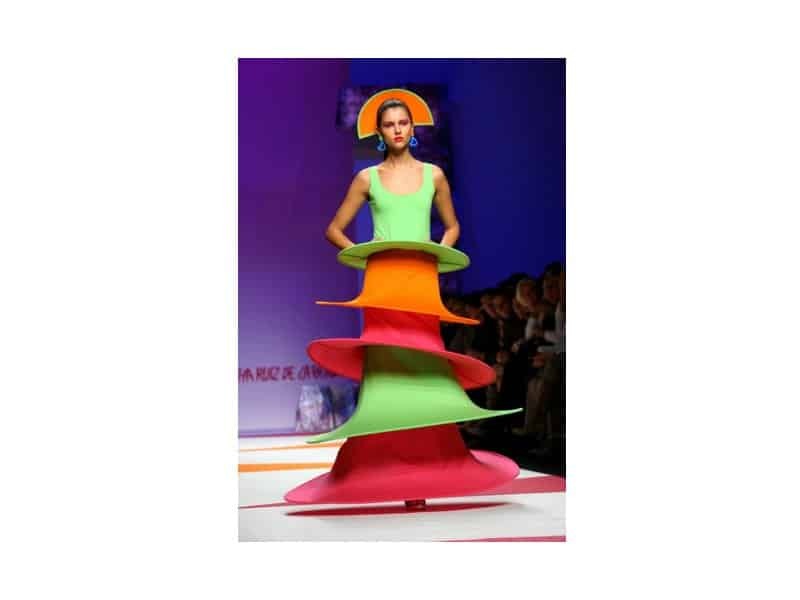 This dress is the love child of the apple outfit and the Dixie cup dress from the eyeball girl. This time, another unfortunate model has been stuffed into a strange, green blob that slightly resembles a pear. With the deep red tights, however, an important question is raised: is it actually a watermelon? We’ll let you think about that. 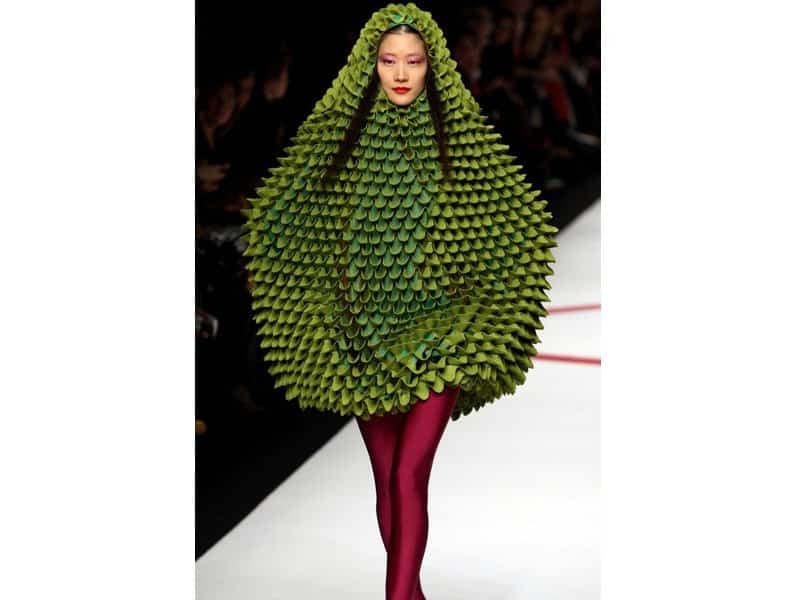 Finally, a Halloween costume for women with some coverage! Not only is the (outdated) pink dress modest, but wearing Mrs. Pacman on one’s head is certainly a way to keep the boys at bay. The mannequin who came to life, coming to save the world in a really weird gold cape! Just ignore the fact that you can see her real neck behind the plastic one, okay? 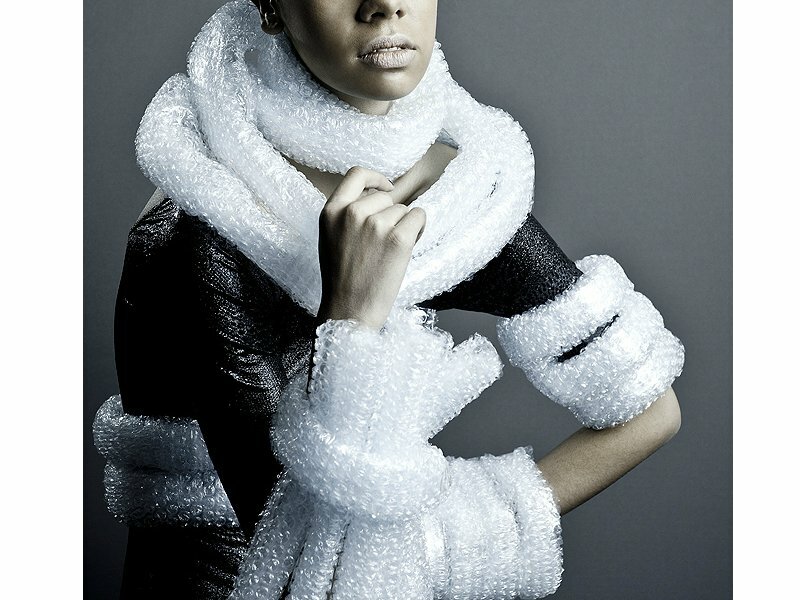 Finally, fashion that any woman can afford: bubble wrap accessories! There are endless ways to cut, twist, wrap, and style them, so any look is achievable. It also doesn’t look ridiculous at all. Nope. This particular pair of high heels begs many, many questions. Why do the horse hooves have claws coming out of the back? How does anyone fit a foot through that tiny hole? 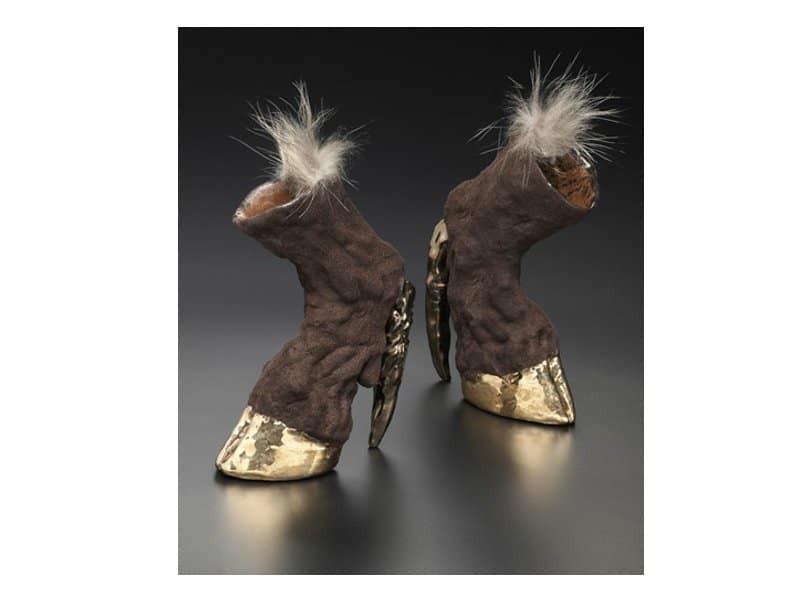 Why would anyone want to wear golden hooves in the first place? 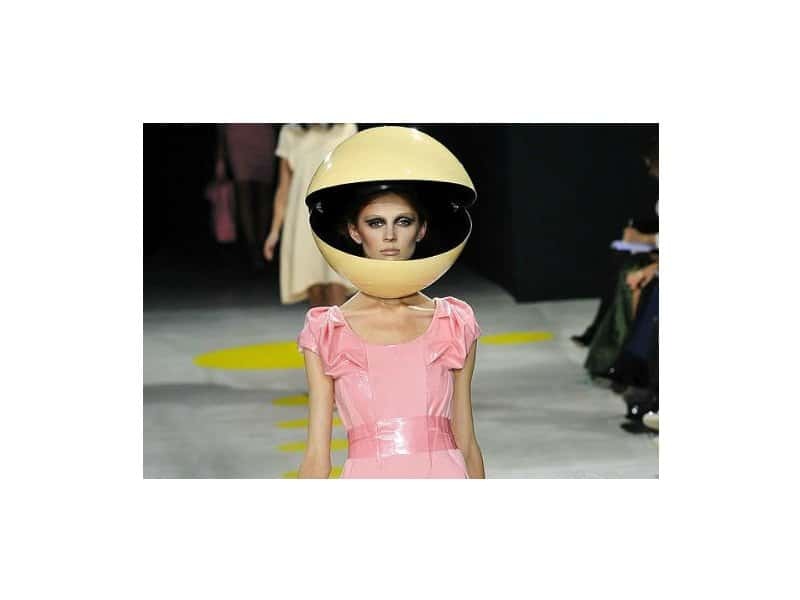 Though her headpiece suggests inspiration from something like a melon, the dress certainly seems extraterrestrial. This, mostly, is due to the fact that nobody on this planet would ever want to wear this in public. Medieval Knight Or Scuba Diver? Does it even matter? Perhaps the real question here is in the shoulder pads. 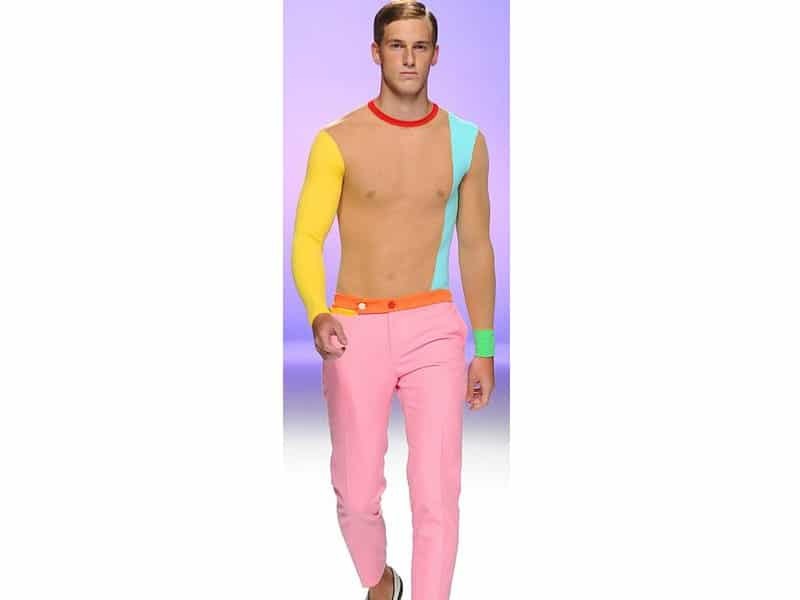 Then again, isn’t it in-style to make a man’s body look like a rectangle? No? Okay then. 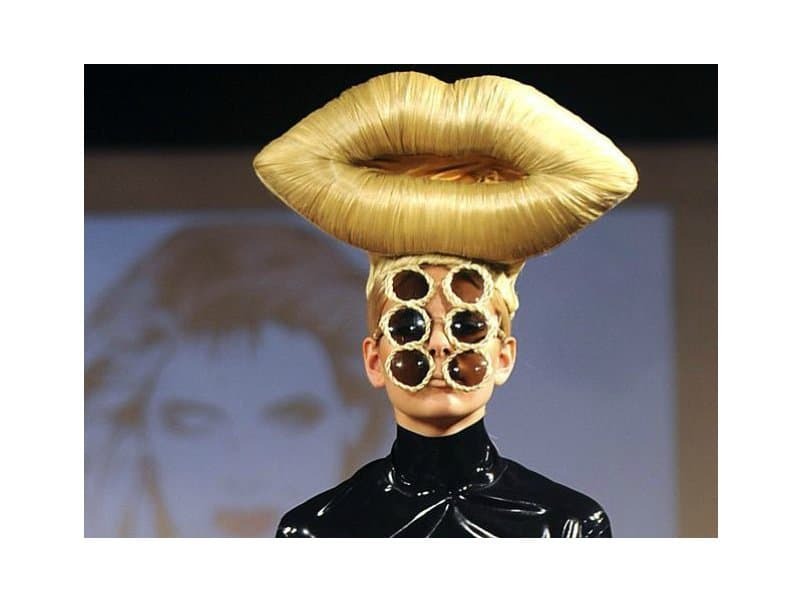 This very unique shot captures a woman with six eyes and hair that twists into a set of enormous blond lips. Only one question exists here: Lady Gaga, is that you? 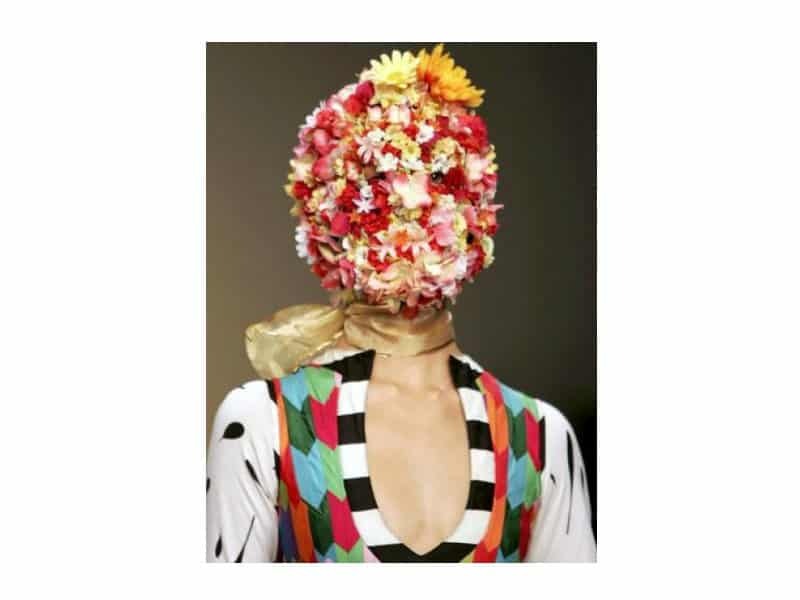 If you’re suffering from acne, a black eye, a broken nose, or anything else that would make you want to hide your face, here is a solution: cover it with fake flowers! Tying a golden ribbon around your neck like a Christmas present finishes off the look in quite a unique way. This is the boyfriend of the earlier flying saucer-dress-lady. 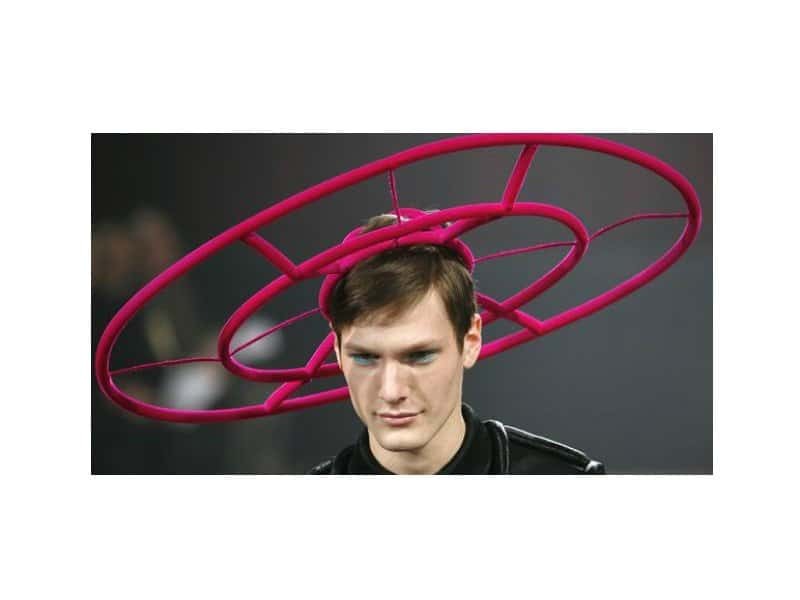 He is kicking it up a notch, however, with a more geometric take on alien style that is now worn on the head. Our conclusion? Style like this still does not belong on Earth. Sorry, saucers. 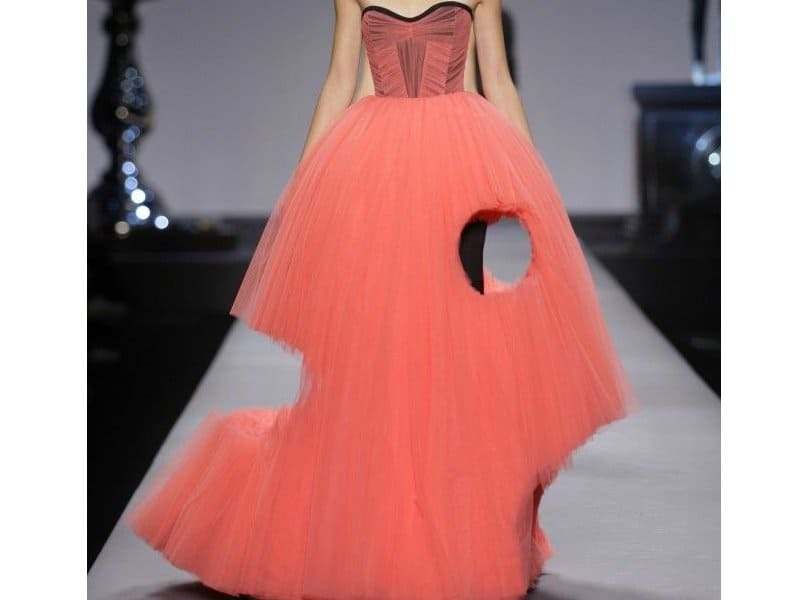 If you imagine that the awkward, gaping holes in the dress aren’t there, it might actually make a nice prom or event dress. The mistake was taking inspiration from swiss cheese. Remember the shoes from earlier? We found the perfect outfit to go with them. 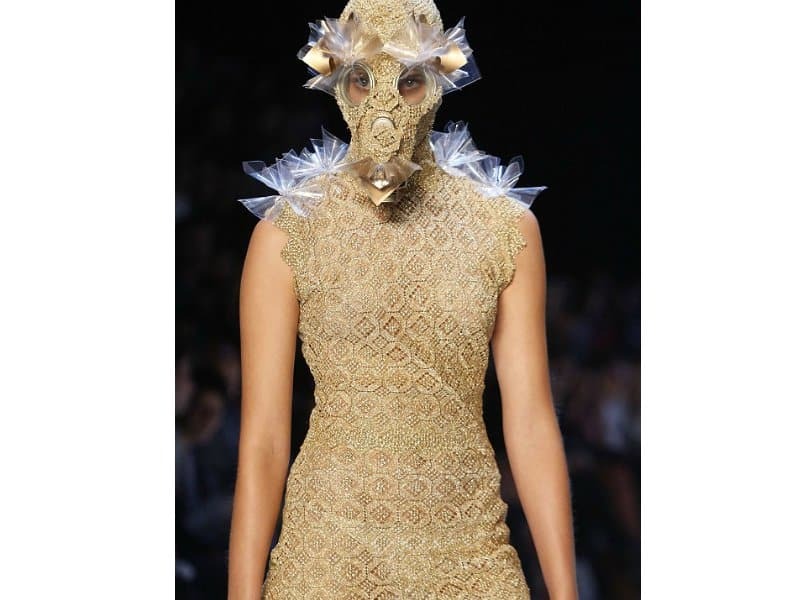 This golden number comes with really strange shoulder and eyebrow poofs, and a headpiece that can be interpreted as various animals. 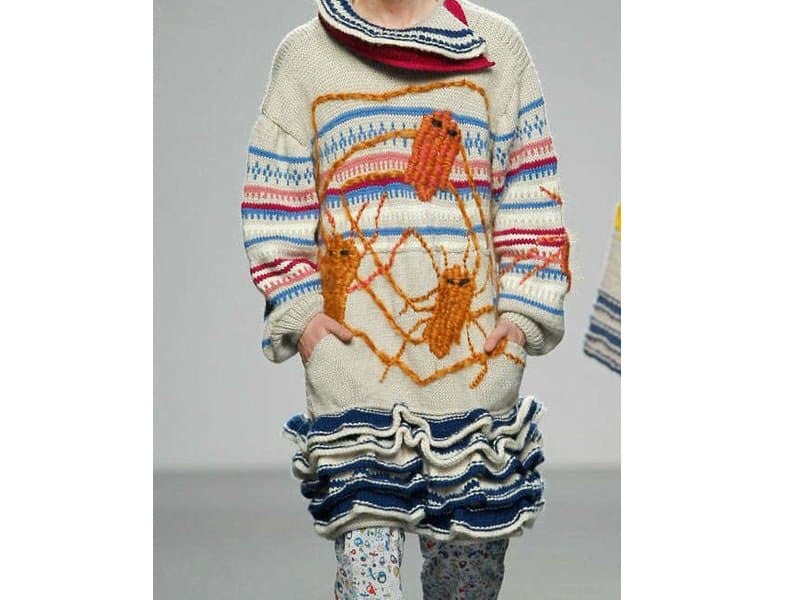 Quit your searching: the ultimate ugly sweater has been found. This one is guaranteed to win every holiday party contest ever. The weird collar and the orange spiders/crayfish, both combined with the ruffled skirt-bottom, come together for a look that can never be achieved again. At least, that’s what we hope.